Many customers prefer a different finish to a concrete garage rather than the more standard pebbledash finish. 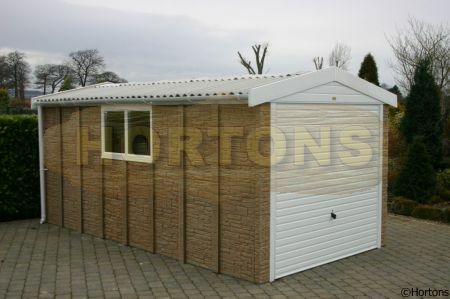 We can offer a number of different exterior finished to our garages - stone, red brick or buff brick. This page shows our stone effect finish, please see our main concrete garage section for the other options.